Combines parallax compensation, illuminated reticle control and .1 MRAD MTC (More Tactile Clicks) turret adjustment, resulting in one of the most sophisticated, complete scopes ever built. 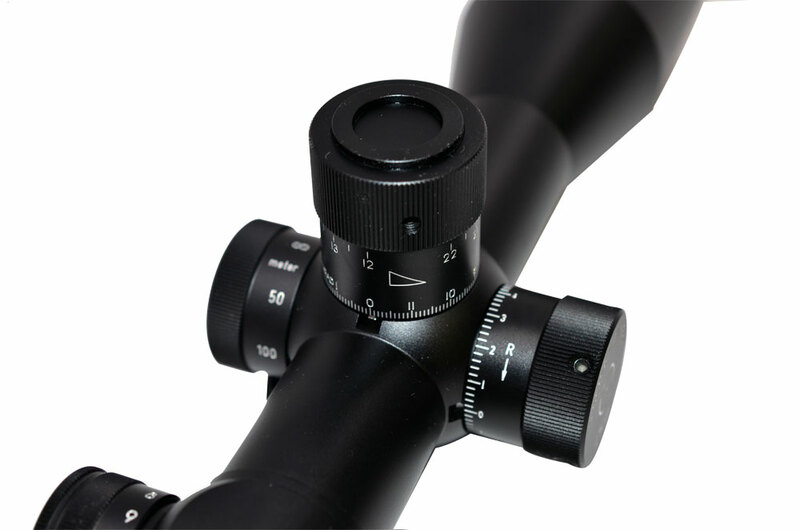 The entire magnification adjustment range can be covered in just two turns of the elevation knob, while the entire 3-12x magnification range is covered in just one–half turn (180 degrees). Parallax adjustment is located on a separate turret, as are the illuminated reticle controls. The reticle brightness is fully adjustable with 11 graduated settings allowing precise selection relative to ambient light. 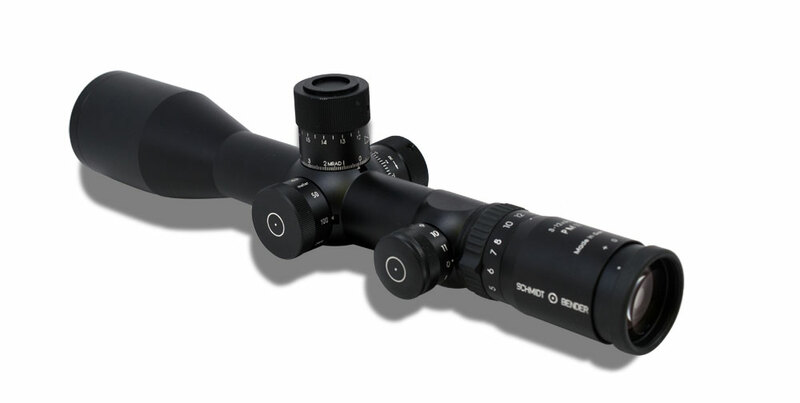 As with all Schmidt & Bender illuminated reticles, it turns off between settings saving battery power and allowing you to easily return to a preselected illumination level. Available with Gen II Illuminated Mildot.